Risk analysis models must be built with ModelRisk. 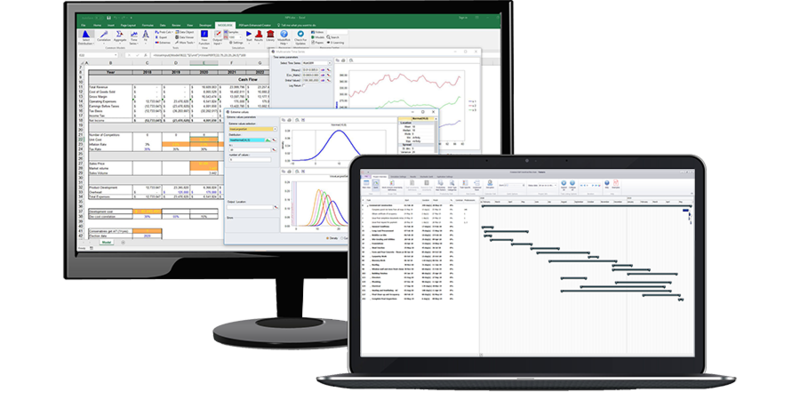 All model-building risk analysts will need to have a copy of ModelRisk on their PC, or have access to a network version of ModelRisk. It is recommended, but not necessary, that all model-builders use the Industrial edition of ModelRisk since this offers the highest level of modeling capability. The results of the risk analysis models are presented in the ModelRisk ResultsViewer application. All Users will need to have a copy of the ModelRisk ResultsViewer installed on their PC or Windows tablet or smartphone. Users can open ModelRisk Cloud with any of the common commercial web browsers. ModelRisk Cloud also needs to be installed on a company server. ModelRisk, ModelRisk ResultsViewer and ModelRisk Cloud are available by contacting Vose Software.